. 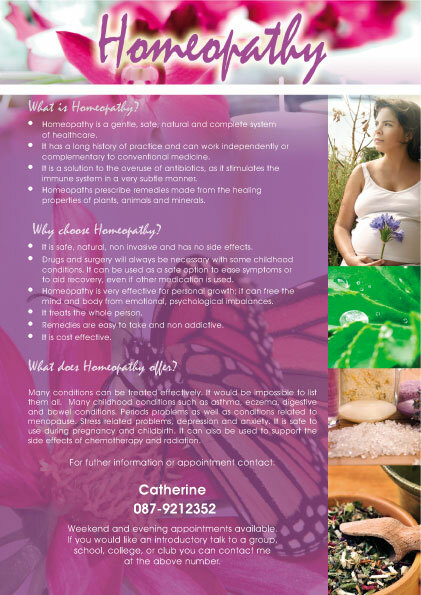 Homeopathy is a gentle, natural and complete system of healthcare.
. It is a solution to the overuse of antibiotics, as it stimulates the immune system in a very subtle manner.
. It has a long history of practice and can work independently or complementary way to conventional medicine.
. Homeopaths prescribe remedies made from the healing properties of plants, animals and minerals. They are non toxic prepared in minute amounts using a method of high dilution.